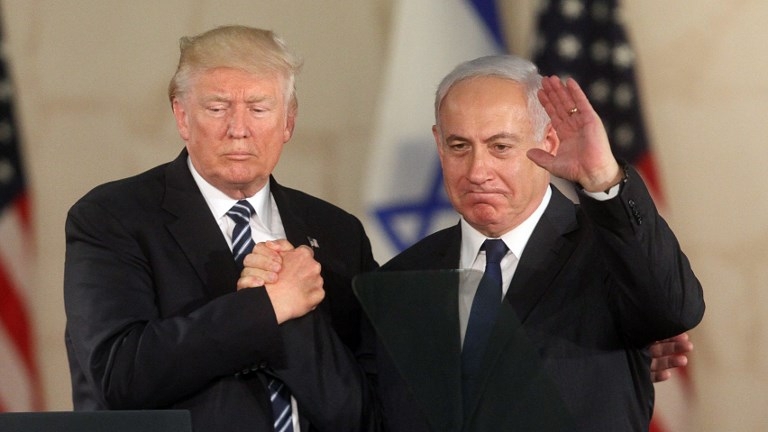 Yesh Atid chairman Yair Lapid said Monday that the entire Israeli security establishment is deeply concerned by US President Donald Trump’s massive arms deal with Saudi Arabia, and that Prime Minister Benjamin Netanyahu failed Israel’s national security because he neither prevented nor tried to minimize the damage of the accord. The approximately $110 billion weapons deal is the largest in American history and includes advanced air defense systems, ships, helicopters, intelligence-gathering aircraft, tanks, artillery and cybersecurity systems, according to the US State Department. 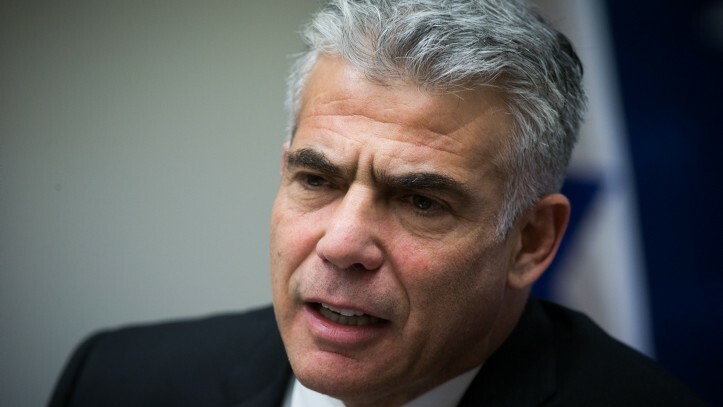 Speaking to The Times of Israel at our offices in Jerusalem, Lapid said that the way Netanyahu addressed the deal, both before it was announced and after, was “almost reckless” and ignored key Israeli security concerns. 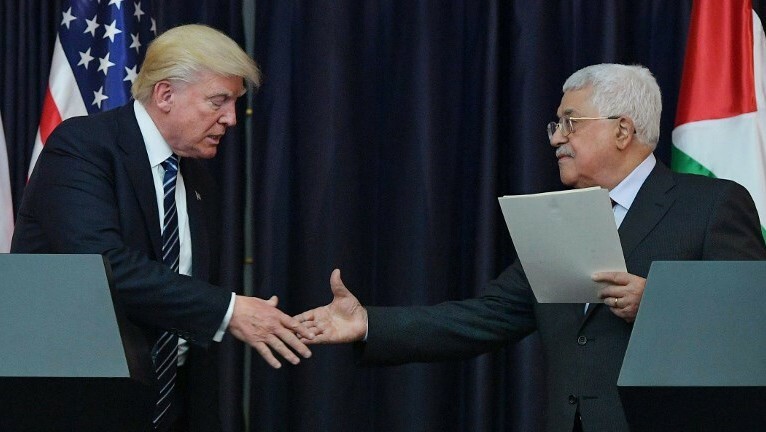 Under internal political pressure for Trump’s visit to Israel to appear a flawless success, Lapid said, the prime minster neglected to protect Israel’s interests in the region. Lapid said Israel did not know about the deal ahead of time — but it would have, had there been a properly functioning Foreign Ministry and a full-time foreign minister. In particular, Lapid highlighted the strategic partnership agreement, announced as part of the deal, between Raytheon, the contractor representing Israel for sales of the Iron Dome anti-rocket system to the US, and the Saudi government. Under the agreement, Raytheon will build Saudi Arabia a cybersecurity center that Lapid is worried may one day be used to carry out cyberattacks against Israel. “This worries me because once you give them the cyber ability, you cannot tell them that they can only direct it towards Iran. No, it’s going to be directed towards Israel as well,” he said emphatically. “When the minister of defense is saying the opposite thing from the prime minister, you know that something is wrong. The Israeli military establishment is worried. This is a big deal,” he added. 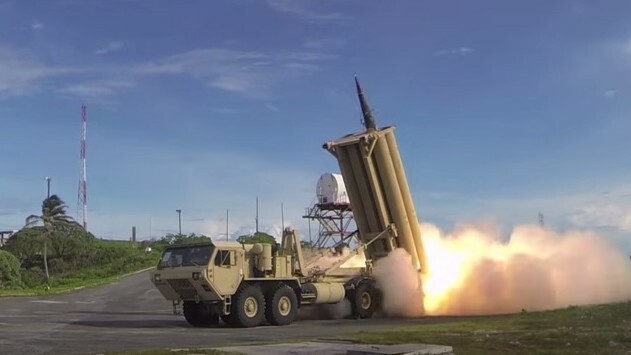 One of the most notable aspects of the deal is that the Saudis will receive the Americans’ Terminal High Altitude Area Defense (THAAD) anti-ballistic missile system. This is the same type of battery that the US recently deployed in South Korea to help defend it against an increasingly aggressive Pyongyang. Lapid said the worry is not just in Saudi Arabia owning the system, but in the possibility of it being deployed across the Middle East and therefore limiting Israel’s aerial superiority in the region. “Netanyahu was under pressure for this visit to be successful for domestic political reasons,” Lapid said. And “there’s nothing wrong with fully embracing the president. 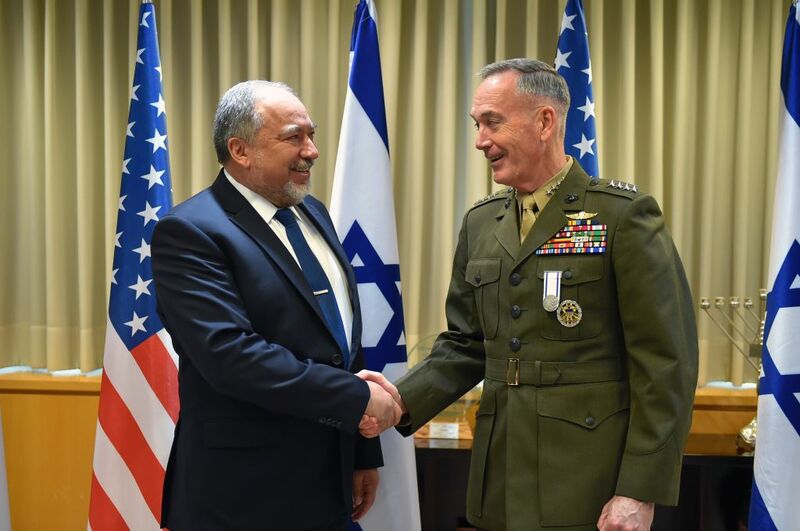 Following Trump’s visit to Israel last week, Liberman said he was uneasy over the deal announced over the weekend when the US president was in Riyadh and believed it was part of a “crazy” regional arms race. 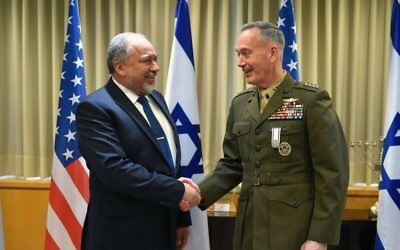 “I’m not at peace with any arms race and the huge Saudi purchase for sure doesn’t add much to our peace of mind,” Liberman said in an interview with Army Radio last Wednesday, adding that he had expressed his concerns in recent talks with US National Security Adviser H.R. McMaster. Hours later, Netanyahu said the US had agreed to boost the defense aid it gives to Israel and would ensure that the country maintained its qualitative advantage. But Lapid said that if he were prime minister, he would have worked to prevent the deal from happening in the first place and publicly spoken out against it. “First of all I would have the kind of functional Foreign Ministry that would make sure we know these things in advance, not finding out during the ceremony in Riyadh. And I would have a foreign minister who is capable of talking to the State Department,” he said. Since the 2015 elections, Netanyahu has resisted appointing a full-time foreign minister, instead holding the position himself. According to Lapid, had Israel known the extent of the deal beforehand, efforts could have been made via AIPAC and US lawmakers to put pressure on the Trump administration. “There are a bunch of things that could have been done, and none of them were,” he said. Beyond the general types of weapons and systems that will be sold, many of the specifics about the deal have yet to be released, he noted. But a large influx of advanced military technology into the region should be of the utmost concern to Israel and therefore to the United States, which must continue to preserve the Jewish state’s “qualitative military edge” — its military advantage over surrounding Middle East countries, Lapid said. Speaking later Monday, at the Yesh Atid faction meeting at the Knesset, Lapid said Netanyahu now needs to confront Trump on the deal. 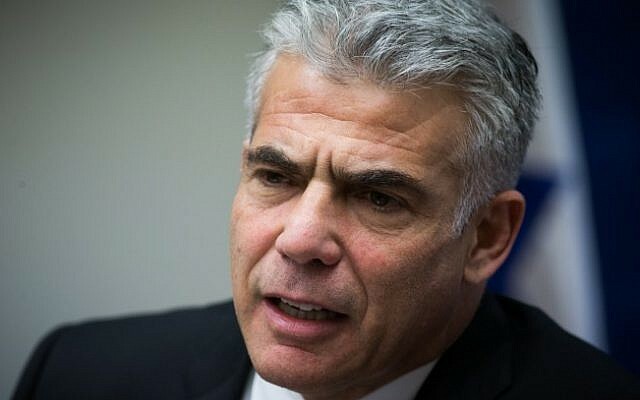 “The prime minister must demand public, not private, explanations, from the US president and his staff,” Lapid said, urging the Israeli security establishment to push for a compensation package from the Pentagon to uphold its regional military edge. “The prime minister must stop being afraid of President Trump’s short fuse and tell him publicly: ‘For you it is a question of money and jobs — for us it’s a matter of life and death,'” he said. 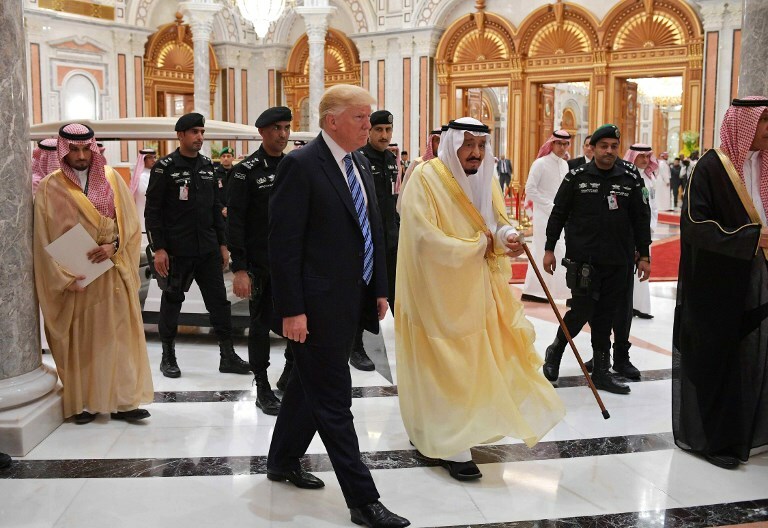 Trump has said that he believes Saudi Arabia could be a key player in helping moderate the region, and was “deeply encouraged” during his visit to the kingdom by the prospect that Riyadh could help Israel reach a deal with the Palestinians. “Many [Muslim leaders] expressed their resolve to help end terrorism and the spread of radicalization. 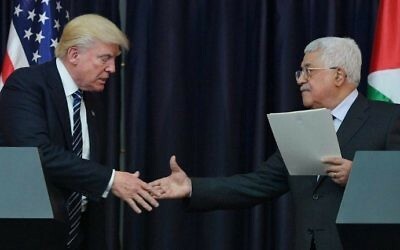 There’s a growing realization among your Arab neighbors that they have common cause with you on this threat posed by Iran — and it is a threat, make no mistake about that,” Trump said during a meeting with President Reuven Rivlin at his residence in Jerusalem. Lapid, while praising Trump’s efforts, warned against over-confidence. Judah Ari Gross and Marissa Newman contributed to this report.